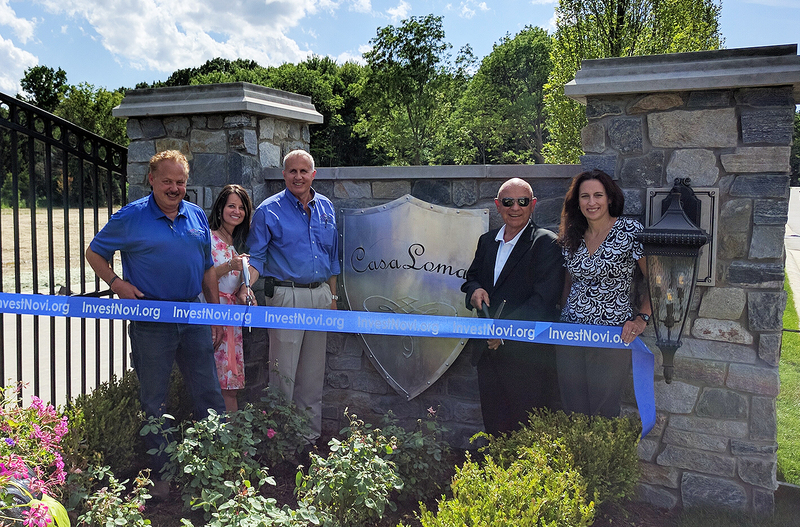 Interphase Land Development of Novi, Michigan, in partnership with Lake Michigan Credit Union, recently held the Grand Opening and Ribbon Cutting Ceremony for their newest development - Casa Loma in Novi. The Ribbon Cutting Ceremony included owner David Compo with his wife Michele, his brother and business partner for Compo Builders, Chris Compo with wife Lisa, and Novi Mayor Bob Gatt. Members of the Novi Chamber of Commerce, Northville Chamber of Commerce, building industry peers, prospective and current clients as well as area realtors were also in attendance for this event. Food and beverages were catered by Steve & Rocky’s of Novi. Casa Loma, a private, gated community of 10 exclusive lots on 15 acres, is the longest boulevard neighborhood in Southeast Michigan. Adjacent to the prestigious Bellagio community on the west side of Beck Road, between 9 and 8 Mile Roads, it offers wooded lots, private sidewalks, west-facing garages, north/south orientation to the homes, fountains, ponds and water features throughout. It includes a wetland-protected preserve, underground utilities, and is close to major freeways, schools, shopping, hospitals, fine dining and entertainment venues. Each home will be custom designed by award-winning architect Todd Hallett, President of TK Design and Architecture. Other architects may be allowed to submit home designs for developer approval. David Compo received HBA Developer of the year for this community. Strict allowance policies benefit homeowners as much as builders. Why do builders prefer that the homeowners choose every single item that will go into the house before they break ground? It’s not just for the builder’s convenience. 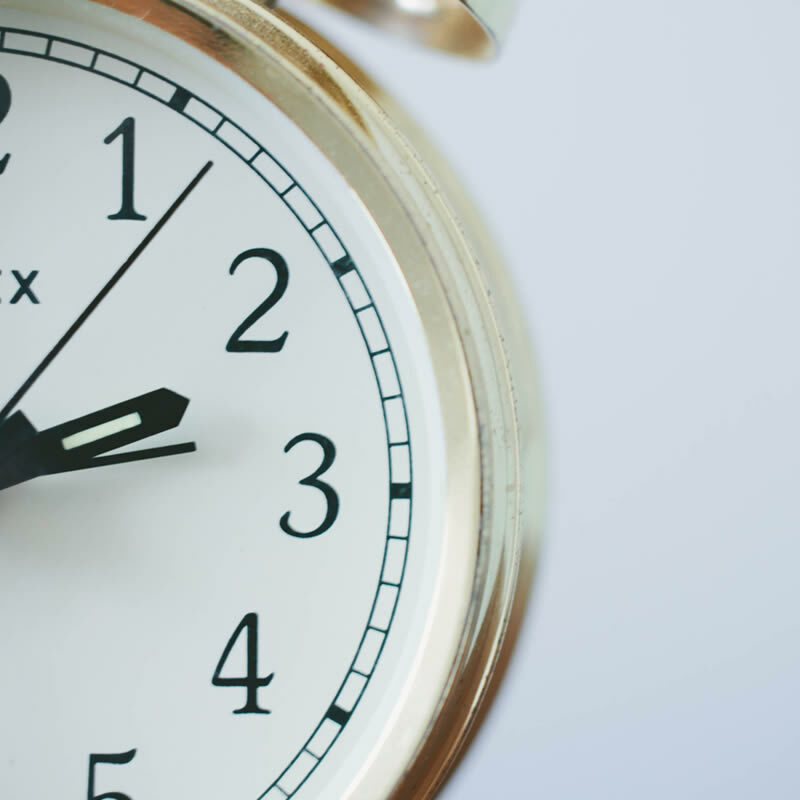 A choice postponed may end up being made at a time when the homeowners are feeling a lot of construction stress. Decisions made under stress raise the chance of buyer remorse. But the reality is that some people have a difficult time choosing finishes like flooring, light fixtures, tile, and carpet before the house has at least been framed and they can walk through the spaces. Allowances are a necessary concession to that reality. They let the homeowners choose a limited number of products after the project is underway, while still keeping the job on schedule and on budget. It’s useful to think of an allowance like a Visa gift card. Say, for instance, that the builder and homeowners agree on a $20,000 allowance for kitchen cabinets and countertops. The homeowners can spend that money any way they want. They may want mid-range solid surface countertops and ornate cabinets with intricate moldings, or they may opt for plainer, less expensive cabinets and marble surfaces. They just need to stay within the allotted $20,000. Like a gift card, an allowance will have an expiration date. That’s the date by which choices have to be made. But there’s an important difference: if someone doesn’t use a gift card on time, they lose the money; if the homeowner doesn’t make allowance choices on time, the money will still be there, but the delay will throw off the job schedule and may raise the final cost. Because of their potential to cause trouble, most builders limit allowances to a few line items. These vary by builder, but common ones are lighting, plumbing fixtures, exterior doors, ceramic tile, and carpet. During the planning stage, the builder will suggest an amount that makes sense given the budget for the overall home. Homeowners who want to spend more—or less—on these items need to tell the builder at this point. Most builders also insist that the customer purchase allowance items from their regular suppliers and that they be installed by the builder’s regular trade partners. For one thing, the builder can’t be confident in the quality of unfamiliar products from unfamiliar vendors. For another, the use of regular suppliers and installers is crucial to controlling costs. It eliminates situations like the customer who chooses carpet from a supplier unfamiliar to the builder, only to find out that it is European carpet in metric sizes that will leave a lot of unwanted waste (that the homeowner has to pay for) and that takes 20 weeks to get, while the house will be done in five. When choosing multiple items like faucets and light fixtures, a budget-conscious customer will match styles. Using a different faucet style in every bath raises costs; keeping the fixtures consistent brings more purchasing power. The bottom line is that a well-defined allowance policy benefits the homeowners as well as the builder by controlling costs, keeping the job on schedule, and reducing unwanted stress for everyone. People who have built homes in the past usually understand this, which is why they generally prefer to work with a builder with a clear policy. Green Oak is a city found in Livingston County, Michigan. It has a population of 17,476 people as per the 2010 census. In September 2015, a board that helps in forming cities voted to incorporate Green Oak city, making it become the second township in the county of Livingston. Within its borders, the city has several communities that are unincorporated. Green Oak is found on the eastern side of Silver Lake Road offering more room for its growth. Kohi and Costco have built stores off Lee Road on the exit of the U.S Highway. In 2006, new shopping malls like Green Oak Village Place were opened in the U.S. Also, three roundabouts were added to maintain low traffic, creating a hybrid city. All these features make the city an attraction to those finding new homes to settle. Due to its large population, the security of this town is guaranteed to the residents. CCTV cameras are installed in almost every corner to reduce the number of crimes happening in the city. The city is guided by the mission to enhance the quality of life where it promotes for a welcoming, secure and diverse society that is both respectful and honest, creating an enduring sense of community. The city also ensures quality education to its residents. The school districts of Whitmore, Brighton, as well as South Lyon, are committed to serving residents of the city of Green Oak, MI. Compared to other cities like Ann Arbor, Green Oak city has the highest number of graduates. It also spends more per student than any other town in the U.S. Student teacher ratio is kept at minimal to ensure your child gets the best quality of knowledge from the city. When it comes to entertainment, Green Oak City provides you with the best fun not found in most cities. Popular nightlife like Main Street Club, Boys and Girls Club of Polk County as well as Diamond Sports Bar and Grill will provide you with a place to groove the night away outside the city. If you find yourself not in a position to choose the fun to enjoy, you can take a gander at the city’s index of amusement arcades and park, whack those moles, ride roller coasters, as well as eat some cotton candy. Rolling hills, woodlands, streams, and lakes are some of the plentiful places to enjoy your fun. You will be surprised to realize that public parklands cover about twenty percent of this city. You will also find Island Lake State and Huron Meadows Metropark recreation areas along the Huron River that provides fun to the society as a whole. In this city, Hidden Lake, with the help of Compo Builders, provides the best to its customers, depending on their personal requirement regarding size, woods, lakefront, size, privacy as well as the best view. The company has a lot in their inventory to meet your specific interests and is also willing to walk the lots with you all through your journey to get a new home. Click here to view more information on Hidden Lake in Green Oak Township, MI. Novi is a city found in Oakland County, Michigan. The city has a population of 55,224 as per the 2010 census. It is located in the northwest region of Detroit, and approximately twenty-five miles of northeast of Ann Arbor Center. The great city of Novi, MI is known for its destination shopping, but you will be surprised to find out that there are more than mega-malls. If you go around the city, you will find destination recreation, fine dining as well as nightlife. You will also not be disappointed when you decide to go for power shopping as Novi’s mall mecca, which includes Twelve Oaks, will offer you what you may be looking for. Due to its high population, security is a top priority to this city making it the most secure city in the Oakland County. In the Novi city, you will find all community schools including five elementary schools, middle schools as well as high schools. The Meadowbrook and Hickory Woods Elementary schools, both from Walled Lake district, are found within the city limits. Also, Thornton Creek Elementary school is located in the city limits. All five elementary schools, as well as the Middle school, serve the community of Novi. On the southern portion of Lyon, Hardy and Dolsen Elementary schools, as well as the middle school of Centennial serve this area. On the Walled Lake area, Meadowbrook and Hickory Woods Elementary schools, as well as the middle school of James R. Geisler serve this part. Also, the schools that serve Northville area include Moraine, Thornton Creek, and Amerman Elementary schools, as well as Hillside Middle school. Public high schools providing education to the Novi people include Novi High school, Franklin-Road Christian School, Walled Lake Western School and Northville high school. Wherever there is shopping, plenty of places to grab a moment of fun is easily found. Novi city provides for all the fun you may need. If you are an enthusiast of golf, the city will provide you with world-class golf. Also, Kensington Metropark as well as cider mills, where rolling hills and lakes are found, will provide you with year-round fun. Activities like Olympic Ice Dancing, National Day of Dancing, Adaptive dancing program, 101 Dalmatians as well as Pitch, Hit and Run program are practiced in this city. In this city, you will find Compo Builders that offers solitude, relaxation and tranquility to homeowners. The craftsmanship that endures, details that symbolize your personality are some of the elements crafted into your Casa Loma home. This private gated community provides gorgeous woodlands, which add a prestigious and inviting way of living. Casa Loma, which is adjacent to Bellagio community, redefines home building art, and the way you start viewing your home. Compo Builders carefully guides you via each phase of the project you may be taking with a total sensitivity of what is important to you. They characterize your home with creative design, workmanship and architecture. Click here for more information on Casa Loma in Novi, Michigan. Highland is a city found in the west county of Oakland County, Michigan. The city has a population of 19,202 people as per the 2010 census. It is a suburb of Detroit. This city was founded in 1835 by pioneer families. The major factor that has contributed to the fast growth and development of this city is the railroad that allows cheap transportation of lumber as well as easy exportation of pickles. In the year 2003, in an attempt to retain its rural feature and preserve its equestrian heritage, the city declared itself as an equestrian community. This made the state government to recognize it as the first Michigan designated equestrian community. The city is a mixture of suburban, rural as well as lake living people, with state-provided recreation lands and about twenty-five lakes. In the Highland City, effective schools that identify core beliefs and values about learning are common. These will provide an explicit foundation to the students and the society at large. Every component found in these schools is driven by students’ ability to achieve the best. Huron Valley Schools serve the communities of Highland, Commerce Township and Midland, MI. This school is known for being ranked the highest in the U.S for its academic excellence. Also, Milford high school, which is a grade nine-twelve high school, is located in this Highland city. The school, founded in 1861, provides your children with the required skills to cope in the competitive world. This school is known for its excellence in sports. The city has fifteen schools, including nine elementary schools, three middle schools and three high schools. For your entertainment needs, Highland has made sure that you will be provided with the latest fun. Beli Entertainment is one of the known companies that offer great fun to the people of this city. It operates on a wide range of recreation since it considers all different needs of various people. Also, this is the state you will find The Friends of Highland Recreation Area. They offer an amazing event known as the snow snakes. This annual event occurs on a Sunday at the Edsel Ford Barn. Bar and Grill equipped with pool tables, big screens with sports and video games are some of the fun that will meet you when you decide to live in this city. Nice menu with sandwiches, pizzas and salads will make your family appreciate living in the Highland City. In the city, you will find Woodland Ridge that consists of fifty single-family building sites, which have several site condominium ownership and walk-outs. It has gentle rolling terrain that is surrounding by dense forest areas. Every home site backs to a common area. Compo Builders will make your home dream come true in this Woodland Ridge as it will walk you through all constructions project you may have. Due to its vast experience in the building industry, the company will give you the best construction services. Click here to view more information on Woodland Ridge.